About Evie's Place - Evie's Place! After many years in the jewelry industry as one of the only female jewelry designers and metal-smiths in her area, Romy began working in the veterinary field and shortly thereafter fell in love with the world of animal welfare. She knew immediately that her heart belonged to the many needy animals and that she wanted to make a difference. Since that time she has been wholeheartedly devoted to the cause. Although if you ask her mother she would tell you that she began rescuing when she was just a child! She began assisting clients of the veterinary hospitals she worked for in finding homes for their pets during the days, and then stopping to feed and trap the strays in the neighborhoods on her way home. (There are many on the streets of Philadelphia as in your city) Soon after that her interests led her to community education and volunteering to foster kittens for local rescues and shelters. She even made a room of her home dedicated to these many animals and called it the "happy room," although much of the time it should have been called the "crazy room." She found herself driving down each street staring at the side of the road for any possible movement (not good driving technique...I know) and finding sudden interest in strangers' conversations about animals and an urge to teach them when the speaker was obviously uninformed. But, alas she had good training and has always kept her opinions to herself unless asked...which can be oh, so hard! And, in between she began finding other ways to help her local shelters, helping the local animals as needed, and taking advantage of her strong veterinary and welfare knowledge and contacts to help in as many ways as possible. In 2006 she wrapped up a three year journey and published a book about the animal welfare world. Not so much about the animals, but about the people who "live the life." She wanted society to know what it is really like to sacrifice yourself and your life to this cause and perhaps teach in a broader way. She realized through her first radio interview about the book that there is no such thing as a small way of making a difference...because one small step is better than no step at all. You can find information about book called "Animal Lovers" on this site if interested. Since that time Romy has continued to do what she can to make a difference for this mostly unknown cause, and it has been a great and amazing adventure due to her diverse experience with all levels of the rescue world. This site is just one more small step, and hopefully with your support it will be a successful adventure for all of us... and especially the animals who count on those of us who care. She firmly believes that the people behind the cause are what matter and that working together really IS the only way to save lives. Romy is one of the most dedicated people i have ever met. It is my pleasure to announce to any and everyone in animal and pet communities about her genuine affection and caring for pets and rescue organizations focused on placing deserved animals in safe homes. I have worked with her in fundraising for homeless animals in years past and have known her as a friend for about 10 years. She is genuine and honestly one of the best people i know. I would not only trust her with my many pets but choose her over any others I know! 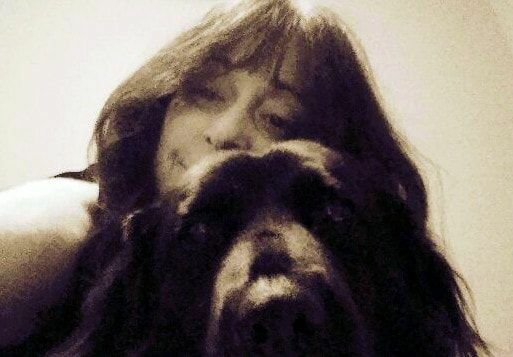 I don't think I've ever met anyone who is as conscientious a pet caregiver herself, and as thoroughly dedicated to the welfare of others' companion animals and wildlife at large as Ram. I know her to be an outstanding pet sitter and dog walker, and am sure her clientele will quickly come to value her as a trustworthy visitor for their dogs. ​She treats every pet as if it were her own (and, if you're one of her pets, that's a wonderful thing). She has worked with animals of all sizes and temperaments, and takes special care to learn their personalities and how they react to other animals and people on walks or in parks. Your pet will love having her around! Romy & I became friends through our dogs many years ago, & we all enjoyed our daily walks. Her passion for animals was immediately apparent; her experience in veterinary medicine & animal rescue, constant care of strays throughout her neighborhood & beyond, her efforts to help find homes for all animals through her website EvieAlo, etc. I experienced all that she gives as a dog sitter when I took an out of town job & needed someone to care for my dog during the work week. My dog is pretty easy to care for (finicky eating & sensitive digestive system aside), but I am a worrier. She kept both Bran (my dog) and me happy by giving him excellent care - feeding, walking, plenty of play & cuddle time, and paying close attention to his overall health - and easing my anxiety by leaving a diary of how each visit went. Romy gave Bran the best care he could have gotten from anyone other than me (possibly better, but he still loves me more). I strongly recommend her; you won't find someone else of her caliber.